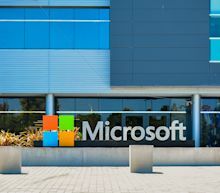 The Redmond, Washington-based company beat Wall Street estimates for quarterly profit and revenue, powered by an unexpected boost in Windows revenue and brisk growth in its cloud business which has reached tens of billions of dollars in sales. Microsoft shares rose 4.4% to $130.54 in late trading after the forecast issued on a conference call with investors, pushing the company ahead of Apple Inc's $980 billion market capitalisation. Microsoft's stock has gained about 23% gain so far this year, after hitting a record high of $125.85 during regular trading hours. The Invesco QQQ Trust ETF rose as much as 0.6 percent after Nasdaq 100 constituents Microsoft Corp. and Facebook Inc. reported sales that topped analyst forecasts. 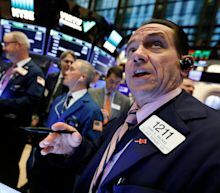 The index was up 23 percent year-to-date at the 4 p.m. close of U.S. exchanges and the S&P 500’s Information Technology Index is the best performer in the gauge. “With Facebook, investors had concerns about pressure from U.S. and EU regulators, which hasn’t come to pass, and privacy concerns haven’t slowed growth especially in emerging markets,” said Max Gokhman, the head of asset allocation for Pacific Life Fund Advisors. Software behemoth Microsoft topped Wall Street's estimates for its fiscal third quarter thanks to its cloud computing services. The Microsoft earnings news sent its stock higher late.